Last Wednesday, the Portland City Council adopted a new growth plan that will span the next two decades, according to Oregon Live. The 2035 Comprehensive Plan is an extension of Portland’s 1980 Comprehensive Plan; it also builds upon the 2012 Portland Plan and the 2015 Climate Action Plan. Additionally, it follows the approval of the West Quadrant Plan, a long-term upzoning plan aimed at increasing Portland’s downtown density. The Plan notes that Portland is expected to experience a population increase of 42 percent (260,000 residents) in the next twenty years. To address this, the plan will address five major elements: the development of city centers, the creation of jobs, the protection of public health and safety, changes to some residential densities, and updates to open space designations for neighborhood development. Rule changes would densify single-family neighborhoods and require the inclusion of affordable housing units in housing projects. The plan reveals a proposed $80 million extension of the Portland Streetcar to the John’s Landing neighborhood. The city would also make seismic improvements to Willamette River bridges and upgrade infrastructure for pedestrian and bicycle travel across the city, the article notes. The plan will allow increased building heights downtown, allowing for the construction and development of office buildings to accommodate an estimated increase of 140,000 workers in the city. Such large-scale developments have already been proposed: for example, the Goodman family’s Downtown Development Group has suggested an eleven high-rise project for Downtown Portland. 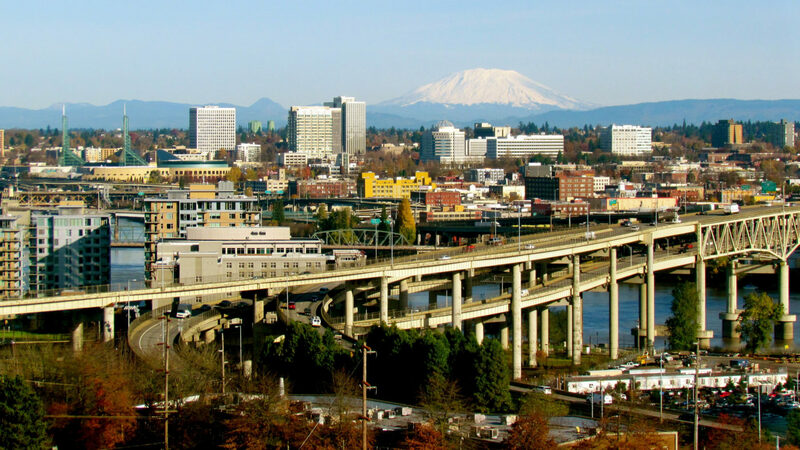 Investment in brownfield remediation throughout Portland is another goal of the legislation, according to the article. The 2035 Comprehensive Plan is scheduled to take effect in January 2018.